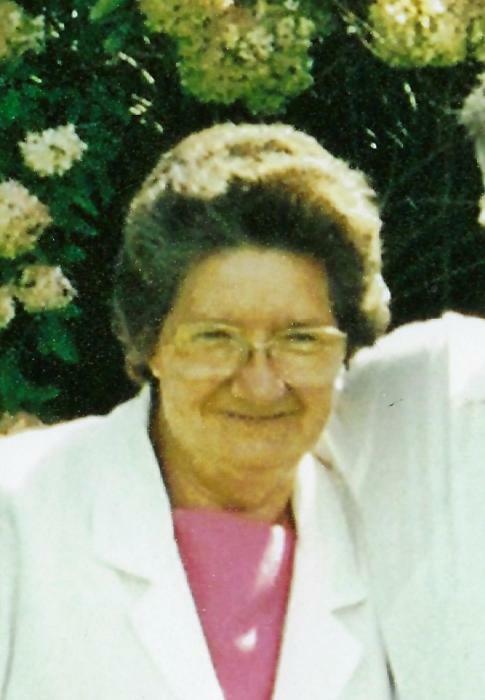 Obituary Notice for Bertha Mae (Finogle) Spencer | Pepper Funeral Homes & Cremation Facility, Inc.
Bertha Spencer, 90, of Canton, PA, passed away at home while surrounded by loved ones on Monday morning, May 21, 2018. Bertha Mae, “Bert” was born in Wilkes-Barre, PA November 23, 1927, a daughter of the late Arthur Nelson and Ethyl (Baker) Finogle. She married Donald Dean Spencer on August 20, 1947 in Maple Summit, PA. Don and Bert shared nearly 62 years of marriage and raised four children before his passing on May 12, 2009. Bert enjoyed crocheting, jigsaw puzzles and gardening. She also loved country music. She and Don took several trips to see country artists perform and she especially enjoyed the music of Bob and Dean McNett. She was a member of the Church of Christ in Grover. Surviving are her children; Donita (Harold) Sargeant of York, PA, Mary Lou Spencer (Bill DeGraw) of Sayre, Marcia (Ken, Sr.) Willow and William Donald “Bill” Spencer all of Canton, five grandchildren, 14 great grandchildren and three great-great grandchildren, two siblings; George Finogle of Dushore and Orin (Florence) Finogle of Canton, several nieces, nephews and cousins. In addition to her husband Don, she was predeceased by three siblings; Vivian Mensch, Benny Finogle, Charles Finogle and a great grandson. Calling hours are 1 – 2 P.M. Thursday, May 24, at Pepper Funeral Home & Cremation Facility, 578 Springbrook Dr. in Canton. Rev Duane Taylor will officiate the funeral service at 2 P.M. Burial will follow in Grover Cemetery. In lieu of flowers, consider a donation in Mrs. Spencer’s name to the American Lung Assoc. 55 W. Wacker Dr. Suite 1150, Chicago, IL 60601.